The internet is creaking under the weight of last minute deliveries, glitter stocks are low, and the inevitable barrage of marketing material has sleighed its way into our inbox. With Christmas Day waving (merrily on high) at us from next week, we’ve ploughed through our inbox to bring you our favourite email campaigns from the season. From cool GIFs, to shoppable gift guides, take a look at what got us clicking. We love a good GIF (if you hadn’t noticed), and this colourful GIF from Habitat featuring some of the best sellers from its product range is no different. The engaging visual, combined with a strong deadline reminder, creates a real sense of urgency - a vital ingredient at this time of year. We love how Lakeland has integrated product reviews into its email campaign. 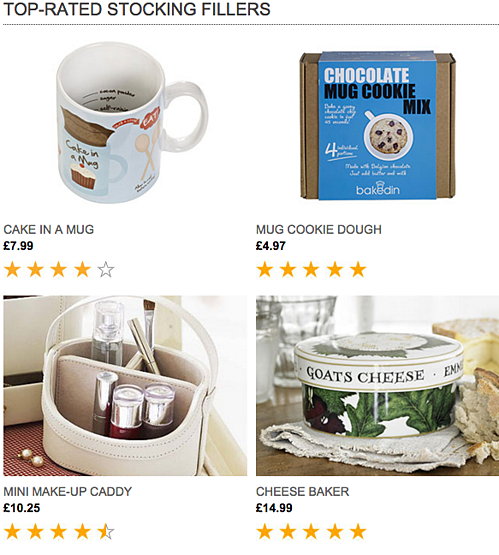 According to Reevoo, reviews produce an average 18% uplift in sales, so Lakeland has been clever to attach ratings onto its gift suggestions to help create a sense of trust. It’s not often we point towards supermarket giants like Asda for applause, but this practical tutorial on homemade wreath-building at the top of their message really injects a little festive charm and personality into a Christmas inbox often void of life. This nice content-led approach gets the thumbs up from us 👍. Christmas is a time to revel in puns. From the contents of cheap Christmas crackers, to ‘hilarious’ stocking fillers from mum (to our blog posts) - they’re everywhere. 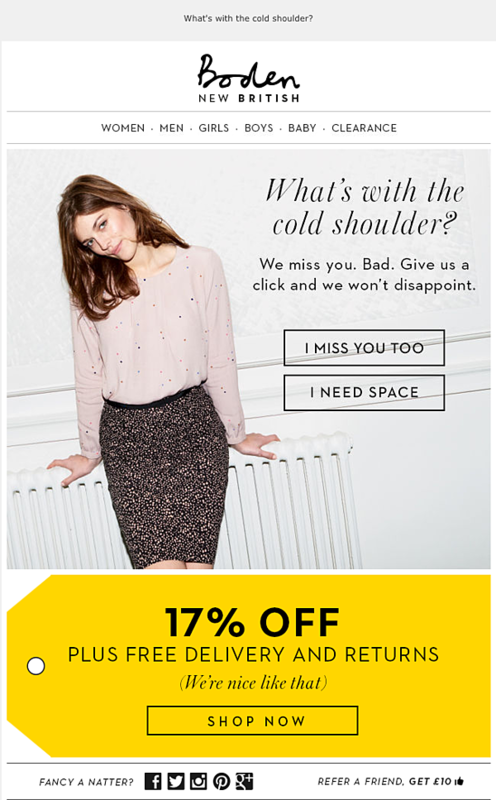 It wouldn’t be a “best of” list without mentioning the always original, always stylish, email creations from the guys at Boden, who have established a really strong tone of voice and sense of character throughout their email marketing. 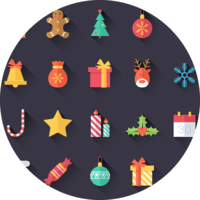 This colourful, editorial-style message clearly promotes its festive discounts, express delivery options and deadlines at the same time as encouraging users to directly click through to their range of last minute gifts. Excellent, another email that moves. Just when we were giving up, this little robotic fella brought our inbox alive. Not only is that robot cute, but this festive offering from Topman comes complete with a discounted incentive and tempting delivery options to encourage subscribers to shop. This is another example of great content-led marketing pushing the festive agenda this season. MADE.com has come up with a variety of cocktails to "jingle your bells this party season", the DeerStalker sounds lethal, eh. We love the 'drinking buddies' shopabble section, shoehorned in at the bottom (smooth cross sell). Subject line: Party Seasoned Out? Charlotte Tilbury has taken an original angle to score sales this Christmas by highlighting the virtues of their product range to cover-up the scars of the hectic party season. We love their catalogue-style cheat guide and their sparkly gift services. Joy to the world. 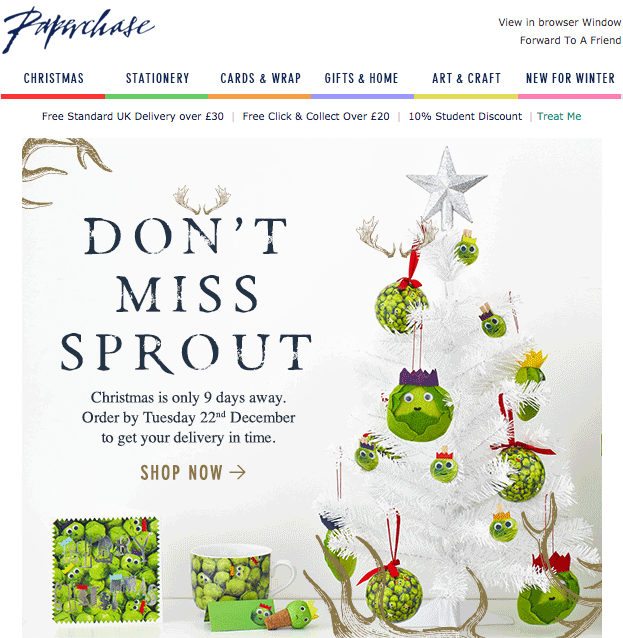 Another pun-filled and GIFty conclusion of the year’s best email campaigns from across the festive period. What’s clear when you compare this season’s email deliveries to last year’s is a clear shift towards content-led strategies (so on trend) and a stronger elevation of deadlines in messages to engage last minute shoppers and drive sales. If you have any questions, comments or seasonal well-wishes, feel free to leave a comment below and we'll get back to you.